Dave Maynard was a quintessential broadcast personality in eastern New England. He was the neighborly voice and genial face of WBZ, no matter when you heard or saw him – in his mid-morning music program, in late-night talk, in his wakeup show, in his television talent show, or in his fundraising for charitable organizations. 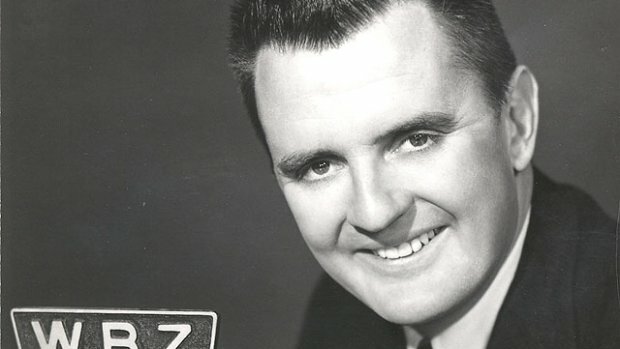 Dave Maynard was a ﬁxture in Boston television and radio for 48 years. He began his career in 1952 at WHIL radio [now WXKS] and then moved on to WORL radio, working as a rock ‘n’ roll disc jockey at both stations. In 1965 he began hosting Community Auditions, a talent showcase that ran on WBZ TV for 21 years and highlighted amateur Boston talent. In 1979 he began doing talk radio on the night shift from 12 A.M. to 5 A.M. One of Maynard’s most memorable on-air moments was one summer night when he kept a suicidal caller on the air for over an hour, saving the man’s life by tracking down his whereabouts. One year later, Maynard was offered the position of WBZ radio’s morning man taking over for Carl deSuze who moved to the afternoon shift. Maynard in the Morning, was number one for all of its eleven-year run. During this time he also appeared on “Evening Magazine” as their resident chef and was the originator of “The Phantom Gourmet” radio program. Maynard also wrote three cookbooks. The ﬁrst Dave Maynard Tried and True Secret Family Recipe Late Night Cook Book was a compilation of his late night listener’s secret recipes. On December 1, 1983, mayor Kevin White of Boston proclaimed “Dave Maynard Day” in celebration of Maynard’s 25 years at WBZ. In 1990, Maynard moved to the mid-day shift. Maynard announced his retirement from radio in mid June of 1991. Throughout the years Maynard’s community involvement has been quite extensive. He has been raising money for Children’s Hospital through The Children’s Hospital Telethon and The Farm Stand since 1982. On April 11, 1988, he helped run “The Children’s Hospital Penny Drive” which raised $13,955.97–all in pennies. He has raised over three quarters of a million dollars for the hospital with the annual Farm Stand event. Maynard has also been involved with Easter Seals, Muscular Dystrophy and Eye Research. Born in Larchmont, New York, Maynard graduated with a Bachelor of Arts degree from Emerson College and received a Master of Communications from Boston University. He also taught at Boston University for 17 years in the Communications Department. He is an avid traveler, gourmet cook and golfer. Maynard currently resides in Citrus Hills, Florida with his wife and is the proud father of six children and nine grandchildren.